Until last month, this video summed up the extent to which Will and Hallie had experienced Schlitterbahn, Texas' iconic family of waterparks. But now, after nearly seven summers of watching television commercials for and dreaming about visiting "the hottest, coolest time in Texas", our family finally made the trek to New Braunfels - home of the flagship park and original resort - to punch our Texas membership cards. 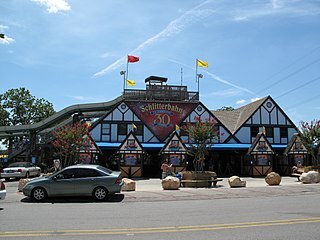 The original section of Schlitterbahn looked and felt nothing like any waterpark I have ever visited. Noah's Ark and Mount Olympus, the two waterparks my family regularly visits in Wisconsin Dells, cover vast expanses of hot, rough concrete. 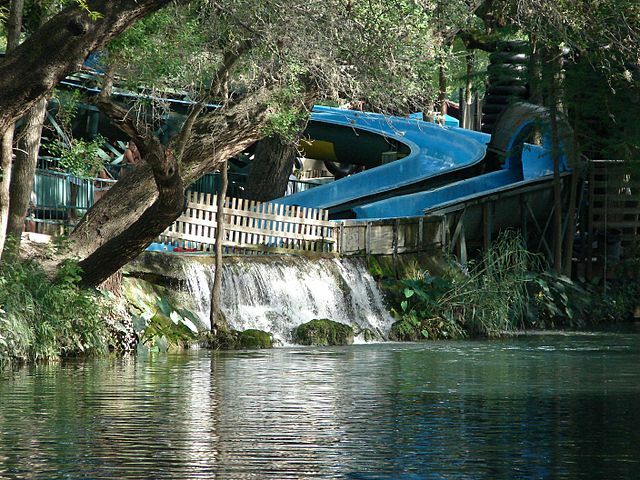 Schlitterbahn, however, rises up out of the rolling hills leading down to the Comal River. Almost every walkway is covered by indoor/outdoor carpeting and shaded by towering trees around which the rides weave. 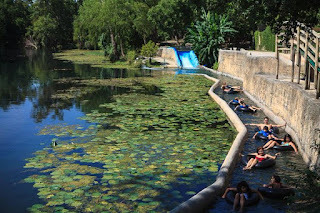 The wave pools, tubing rivers, surfing rides, and coasters utilize surprisingly chilly spring-fed river water that "flows through the park and back into nature each day", and at one point the park's tubing rides actually carry riders down the banks of and into the the river. 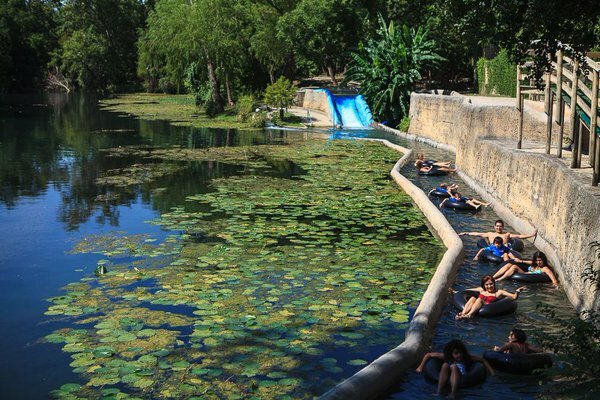 (I found this feature somewhat nerve-wracking as I fear the animals who may or may not live in Texas' rivers, but the experience itself was simultaneously both exciting and peaceful.) Schlitterbahn feels organic and natural in a way I never expected a water park to feel. 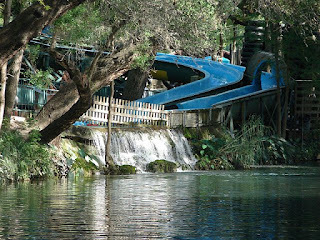 The newer sections of Schlitterbahn look and feel a little more like the waterparks with which I'm familiar, but the rides still utilize water from the Comal River and the tubing rivers traverse the natural terrain. Because we planned to stay for just one day (many people stay for two days and spend the night in between in the onsite resort or condos), we did our best to cram as much as possible into those eight hours. Twice we paused to reapply sunscreen and quickly devour our snacks, but we otherwise went from ride to ride to ride. With regard to the kids' ages/sizes, we timed this trip PERFECTLY; both had passed the last height requirement so no one had to sit out any rides, and Hallie, who has become a confident swimmer over the last two years, seems to have overcome her fear of (she may have even developed an affection for) thrill rides. At the end of the day we exited the park a little bumped and bruised (both Tom and I hit our tailbones on the bottom of the tubing rivers more than once and we all suffered minor chafing from the roughly surfaced tubes) and a little sunburned (but only Tom - all three people for whom sun protection was my responsibility came out completely unscathed), but also completely satisfied in knowing we made the most of our adventure. The best part about crossing Schlitterbahn off my Texas bucket list? Watching as this "dream" of Will and Hallie's came true and lived up to their every expectation. Well done, Schlitterbahn. We'll be back. I took this one picture, when we got home, to remember the experience.